Art Therapy around the world is under increasing pressure to become more "evidence-based". As a result, practitioners now need to get to grips with what constitutes "evidence", how to apply research in appropriate ways and also how to contribute to the body of evidence through their own research and other related activities. 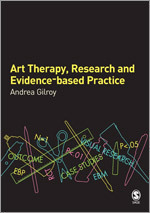 Written specifically for art therapy practitioners and students, Art Therapy, Research & Evidence Based Practice traces the background to EBP, critically reviews the existing art therapy research, explains the research process, links research with the development of clinical guidelines, and describes the knowledge and skills needed to demonstrate efficacy. 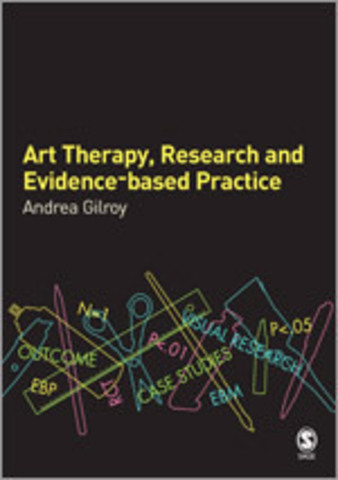 Drawing on her own experience as a researcher, practitioner and lecturer, Andrea Gilroy looks at the implications of EBP for art therapy and examines common concerns about the threat it may pose to the future provision of art therapy within public services. 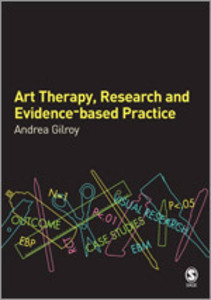 Art Therapy, Research Evidence-Based Practice addresses issues which are critical to the future development and even the survival of art therapy. Combining insightful analysis with practical guidance and examples, this is an ideal resource for practitioners and for those in training.